Citation: Frequency Selective Distortion in Case of Mimo Transmission. 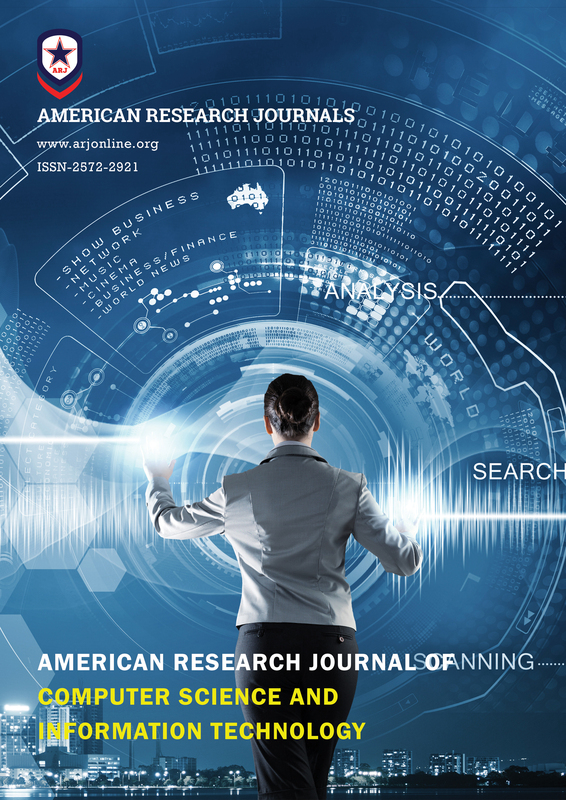 American Research Journal of Computer Science and Information Technology, Vol 2, no. 1, 2017; pp:1-9. Copyright This is an open access article distributed under the Creative Commons Attribution License, which permits unrestricted use, distribution, and reproduction in any medium, provided the original work is properly cited. Use of OFDM over multiple carriers is in use for some time now. Multiple carriers’ performance relies on the diversity. In case of diversity with multiple receive and transmit antennas, every antenna receives a linear combination of individual transmissions and added noise. However concept of channel decoupling by using Single Value Decomposition (SVD) has been employed to ensure decoupling among MIMO channels. In this paper we have shown that a decoupled channel behaves as if undergoing spatial multiplexing. Transmission without distortion is always a priority and hence concept of coherence bandwidth has been considered and its effects on the channel bandwidth are reported. Doppler Shift effects over MIMO channel are discussed. Dependence of BER on SNR has been simulated for various cases where in combinations of multiple transmission and reception antennas have been discussed. For the sake of estimation, let me consider power requirement in wired and wireless channels to achieve BER of 10-6. To achieve BER of 10-6 in any wireless channel SNR of 57 dB is needed whereas for the same BER wired channel needs only 13.6 dB. Hence wireless channel needs whooping 10000 times more power than the wired counterpart to deliver same performance. Such a critical disadvantage was attributable to the phenomenon of deep fade i.e. a condition when signal power is less than the noise power at the receiver. Hence it is the probability of deep fade that determines the performance of wireless systems. Probability of Deep fade event = 1/ (SNR). Multiple Input and Multiple Output (MIMO) employ multiple streams to achieve higher data rates with reasonably low fading probability, almost negligible. Multiple transmit and receive antennas add up the mush desired SNR after considering a decoupled channel. This paper proposes a time-division multipleaccess. An adaptive modulation scheme with dynamic channel assignment (AMDCA) was proposed in . This paper aimed at achieving higher capacity systems under the constraints of dynamic shift in propagation path varying traffic conditions. It was based on C/(N+ I) ratio for every TDMA slot with a view to reach an optimum modulation by use of spatially distributed parameters. As an augmented approach references have been made in  which proposes to tweak the cell shapes in form of microcells as cross-shaped cells and cigar-shaped cells. It has made an attempt to include user mobility with an overall aim to increase the capacity. Bolotin  reported that channel throughput drops significantly for an exponential distribution of call holding time. Then the effort further moved on to consider challenge of channel assignment and in multi-channel multi-radio Wireless Mesh Networks (WMNs) as reported in . Hence MIMO channel could be represented in the form of ‘r x t’ matrix. Each element of the matrix is referred as flat fading channel coefficient. is channel coefficient between ith receive antenna and jth transmit antenna and there will be a total of r x t channel coefficients. Streamlining the coverage increases the coverage area and hence number of users go up. Beam forming is employed in the IEEE standard 802.11n  and other communication standards like IEEE 802.16. Improvements to IEEE 802.11 (introduction of beam forming) successfully achieved higher data rates . 802.16 define fixed broadband standards popularly known as Stanford University Interim (SUI) channel models. Detailed working of IEEE 802.16 is described in . Capacity of the OFDM based spatial multiplexed systems was analysed in . Diversity order of ZF is given as r + t -1. For single receive antenna (r = 1) and single transmit antenna (t =1), the system reduces to a Rayleigh Flat Fading case. x̂ is the estimate of transmitted symbol ‘x’ at the receiver given the channel ‘H’ and also a condition that number of receive antennas are greater than number of transmit antennas. This is an approximate solution that minimizes the least squares error. This is known as Zero Forcing receiver (ZF). Even as h tends to zero MIMO MMSE estimator does not enhance noise. is known as regularization term and bounds the noise. Hence LMMSE is superior to ZF receivers. At high SNR LMMSE turns to be ZF receiver and at low SNR turns to be matched filter. Multiple transmitter and receiver antennas alongwith various reflected paths add to severe crisis of delays in arrival of transmitted symbols. Hence delays of the order of μS are a reality and should be taken care of t=by the MIMO receiver. A channel could be modeled as a Linear Time Invariant system where received symbol is convolution of transmitted symbol and channels response. Change in the position of antenna results in Phase change. Impulse response of the channel is shown in Fig.2. Let coherence bandwidth of a channel be given as Bc and Signal bandwidth as Bs. In general Bs <= Bc, (spectrum of signal is limited to coherence bandwidth) for output without distortion. Hence it behaves as if a flat fading channel. In case when Bs > Bc then distortion occurs. It is termed as frequency selective distortion. Inverse Discrete Fourier Transform (IDFT) converts the symbol in to a wave form that is used as OFDM sub-channel (Fig. 5) whose frequency is an integer number of cycles. As transmit symbols are available to all the receive antennas, estimating the value of receive symbol becomes critical and cumbersome. Single Value Decomposition (SVD) is one of the techniques employed to estimate transmitted symbol at the receiver. So and so on. As every transmitted symbol interferes at each receive antenna. However in the transformed space, the transmit symbol is available only at i th receive antenna, appears only once. Hence channels are effectively decoupled. This may be referred as parallelization of MIMO system. As ‘t’ transmit symbols are being transmitted in parallel and hence it may also be referred as spatial multiplexing. that is why the noise is termed as spatially white. It is equally distributed in all directions. It is isotropic in nature. Since the noise is uncorrelated across all the receive antennas hence it is termed as spatially uncorrelated. In order to increase the channel capacity C, the total power at transmitter should be divided in such a way that inequality Pi≤P is satisfied for ith channel. Interse variation among the received SNR as compared with the simulated error performance coupled with number of transmit and receive antennas is shown in Fig. 7. The improvement in the error performance with increase in diversity is evident. Path loss can be described as where r is the distance and is wavelength. Equation 2.3 does not take into account relativistic properties such as time dilation and so the equality is an approximation. The received signal is superposition of various sinusoids. When Sinusoids add constructively the graph in Fig.7, grows. MIMO transmission is affected by the diversity and SNR dependence on BER and diversity was established. Doppler shift has a slow varying impact over the SNR. OFDM are represented as an IDFT wave forms which represented as sub channels. 1. Takehiro Ikeda, Seiichi Sampei and Norihiko Morinaga, “TDMA-Based Adaptive Modulation with Dynamic Channel Assignment for High-Capacity Communication Systems”, IEEE Transactions on Vehicular Technology, Vol. 49, No. 2, March 2000. 2. Ho-Shin Cho, Min Young Chung, Sang Hyuk Kang, and Dan Keun Sung, “Performance Analysis of Cross- and Cigar-Shaped Urban Microcells Considering User Mobility Characteristics” IEEE Transactions on Vehicular Technology, Vol. 49, No. 1, January 2000. 3. Yuguang Fang and Imrich Chlamtac, “Teletraffic Analysis and Mobility Modeling of PCS Networks” IEEE Transactions on Communications, Vol. 47, No. 7, JULY 1999. 4. Andrew Brzezinski, Gil Zussman and Eytan Modiano, “Distributed Throughput Maximization in Wireless Mesh Networks via Pre-Partitioning” IEEE/ACM Transactions on Networking, Vol. 16, No. 6, December 2008. 5. Enhancements for higher throughput, IEEE Std 802.11n-2009 (Amendment to IEEE Std 802.11-2007 as amended by IEEE Std 802.11k-2008, IEEE Std 802.11r-2008, IEEE Std 802.11y-2008, and IEEE Std 802.11w- 2009), (2009), pp. c1 –502. 6. Perahia, Cordeiro, Park and Yang, IEEE 802.11ad: Defining the Next Generation Multi-Gbps Wi-Fi, in Consumer Communications and Networking Conference, Jan. 2010, IEEE, pp. 1-5. 7. V. Erceg, K.V.S Hari and M. S. Smith, “Channel Models for Fixed Wireless Applications,” IEEE 802.16 Broadband Wireless Access Working Group Report - 03/01, June 2003. 8. H. Bolcskei, G. Gesbert, and A. J. Paulraj “On the Capacity of OFDM-based Spatial Multiplexing Systems,” IEEE Transactions on Communications, Vol. 50, No. 2, pp. 225-234, February 2004. 9. S Yang, L Wang, T Lv, L Hanzo, Approximate Bayesian probabilistic-data association-aided iterative detection for MIMO systems using arbitrary M-ary modulation. IEEE Trans. Veh. Tech. 62(3), 1228–1240 (2013). 10. D. TSE AND P. VISWANATH, Fundamentals of Wireless Communication, Cambridge University Press, Cambridge, UK, 2005. Copyright ©2018 American Research Journals, Inc. All Rights Reserved.